Abercrombie Kids, a division of national clothing retail giant Abercrombie & Fitch, refused to hire Samantha Elauf, a 17-year-old Muslim girl, in June 2008 for a position at its store in Woodland Hills Mall in Tulsa, Okla., because she was wearing the hijab when she was interviewed and this violated the company’s “look policy.” The “look policy” prohibited the wearing of any head coverings. 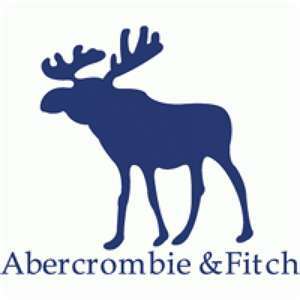 Abercrombie claimed that allowing Samantha to wear a hijab would cause an undue burden on the conduct of its business. Samantha claimed to be a typical American teenager who has a sincere religious belief that she must wear a head scarf. The U.S. Equal Employment Opportunity Commission (EEOC) then gave Abercrombie Kids policy “the look” and charged that it failed to hire Samantha for a sales position because she wore a hijab, or head scarf, in observance of her sincerely held religious beliefs. Abercrombie Kids had previously allowed numerous exceptions to its “look policy,” including eight or nine head scarf exceptions. Suit was filed in EEOC v. Abercrombie & Fitch Stores, Inc under Title VII of the Civil Rights Act of 1964, as amended, which protects workers from discrimination based upon religion. Title VII requires employers to provide reasonable accommodations for the religious practices of its applicants and employees when to do so would not be an undue hardship. On July 15, a Tulsa federal judge agreed with the EEOC on its Motion for Summary Judgment that Abercrombie Kids committed religious discrimination finding that it failed to produce sufficient evidence to dispute the EEOC’s sworn evidence. Damages will be determined by a jury at a later date. The Court's ruling made it clear that an employer's "corporate image" policy does not relieve an employer of the obligation to provide a reasonable religious accommodation. Common Sense Counsel: Employers need to understand their obligation to balance employees’ needs and rights to practice their religion with the conduct of their business. Where there is a minimal impact on the business, those religious needs must be accommodated. The denial of a request for a reasonable accommodation of an employee’s or applicant’s religious beliefs must be based on demonstrated facts, not guesswork or speculation. A reasonable religious accommodation is any adjustment to the work environment that will allow the employee to practice his/her religion. An employer might accommodate an employee's religious beliefs or practices by allowing: flexible scheduling, voluntary substitutions or swaps, or modification of grooming requirements. Religious discrimination is a hot button issue for the EEOC. Have a well drafted handbook policy and be in an “accommodating” mood when approached by your scarf wearing employee or an applicant.